A healthy school environment gives students clear and consistent messages, accurate health information, and ample opportunity to apply it. There are many opportunities and resources available for teachers, administrators, and school staff members to help create healthy schools. Contact us if your school is interested in receiving technical assistance! 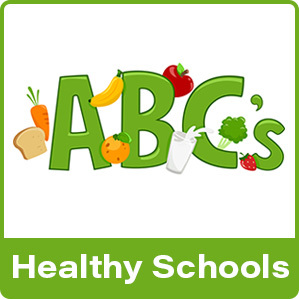 The Michigan Department of Health and Human Services, in partnership with the Michigan Department of Education and their healthy schools partner organizations, offer four websites to help your school assess whether you are doing all you can to make sure your students are fit, healthy and ready to learn. Recognition for creating and maintaining healthy school environments is also a key component of these web based tools. Visit the link to access all four websites. This toolkit will give you the resources you need to implement the Michigan Nutrition Standards. This kit is for everyone that is involved with schools: teachers, administrators, parents, school nurses, community members, and more.